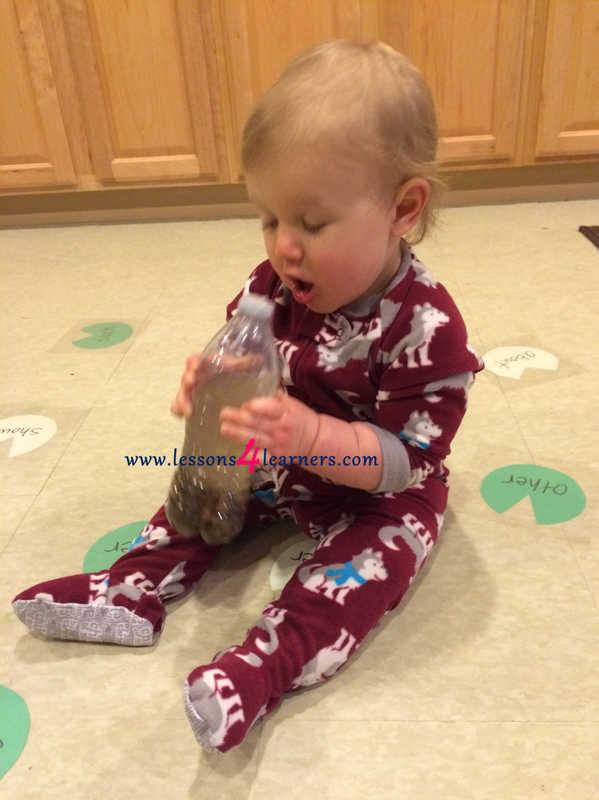 * Lesson plan objective and assessment can be adapted to use this activity with toddlers. Fill empty bottle half way with water. Put in a handful of small pebbles. Glue on cap. When dry give to infant. 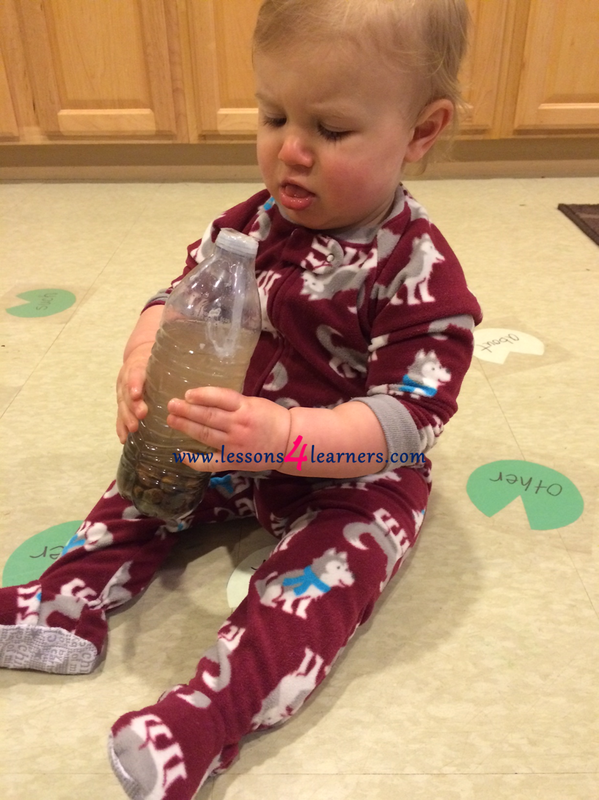 While they are engaged in the sensory bottle, talk with them about what they are experiencing. This would be a great time to introduce new vocabulary. ** Make sure that the lid is glued on securely! ** A hot glue gun works well. Observe and record the child’s reaction to the water sounds. Although infants do not have the words to tell about their experiences, sensory play with an accompanying adult can help babies’ language skills grow. While you are assisting infants during a sensory activity, remember to ask questions and use descriptive language when talking with them. By using new vocabulary that relates to the experience, you are helping to create connections in the brain while making the activity meaningful.